This page shows what Just4keepers goalkeeper coaching schools has achieved over the past decade. We will not showcase all our achievements and they might not be in particle date order. But hopefully you will see what a massive impact Just4keepers goalkeeper schools has had on the world of goalkeeping. 1999: Just4keepers was launched in Liverpool by Ray Newland, with just 2 goalkeepers. At the time of writing J4K now coaches over 5000 goalkeepers worldwide. 2006: Just4keepers launched the VERY first purely girls specialised goalkeeper class worldwide. 2007:Just4keepers launches in Canada. With J4k founder present (far right) to welcome students and staff! 2007: J4K is now in 50% of the UK. 2007: J4K opens in the USA in California, New York state and Mississippi. 2007: Just4keepers help several students get to premiership clubs (one eventually becomes England U18 keeper. Adam Davies) we also send 3 goalkeepers to the USA on a scholarship. 2007: J4K Win the Echo awards which is one of the biggest Newspapers in the North West of England. This award beat over 100 similar businesses for what J4K had achieved for local goalkeepers and children. 2007: Donates over �10,000 back into grassroots football throughout the UK, and thanks to the combined efforts of all the J4K coaches. 2008: Just4keepers launches in Southern Ireland and Wales. 2008: J4K send another 2 keepers to the USA on scholarships. 2008: J4K launch our free email helpline service for local managers and teams. We have over 500 emails in our first month! 2008: Donates over �22,000 back into grassroots football throughout the UK, and thanks to the combined efforts of the J4K coaches. 2009: Just4keepers opens in South Africa. 2009:Just4keepers is invited to the poor regions of South Africa to run free goalkeeper courses. 2009: Ricardo Grecco runs the first Just4keepers International goalkeeper schools in Toronto Canada, were he invited 5 J4K coaches from different countries. The result was a goalkeeper getting a trial with premiership club at Birmingham City. 2009: Goalkeeping legend Jim Leighton (MBE) �joins J4K to run J4K Scotland with fellow J4K coach John Ritchie. 2009: Just4keepers launch their own DVD range that has to date sold in OVER 10 countries, selling over 20,000 sets. 2009: Just4keepers become the first and ONLY goalkeeper schools in the world to be accepted for iphone downloadable apps. 2009:Just4keepers launch their own product range and were sold out in less than 7 weeks. 2009: Donates over �40,000 back into grassroots football throughout the UK, and thanks to the combined efforts of the J4K coaches. 2009: J4K bring out their own padded goalkeeper equipment range. 2009: J4K now operate in 70% of the UK. 2010… is a new year and we have massive plans to make sure we continue to offer the BEST opportunities for our students! 2010: J4K opens in Holland, Slovakia and Hungary. 2010: J4K launches goalkeeperCV to help their students get noticed by Pro Clubs. 2010: J4K opens mid year in Ireland and becomes the biggest gk schools. 2010: J4K read a milestone when they helped their 250th student to a Pro Club. 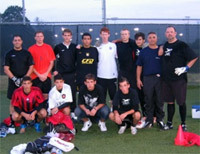 2010: J4K opens www.goalkeeperagent.com to help their students. 2010: Between the J4K coaches, nearly �75,000 is donated back into grassroot footy. 2010: J4K runs their first Residential GK camp, which is now the largest in Europe www.goalkeeprcamps.co.uk . 2011: With the combination of weekly classes and summer camps, J4K coaches close to 10,000 goalkeeper students in this year! 2011: J4K opens in Australia and New Zealand, taking our classes into 15 Countries and across 4 Continents. 2011: The combined experience between the J4K coaches now surpasses 500 years!!! 2011: Ray Newland becomes the first and only GK coach in history to take a GK coaching concept across the globe. 2011: J4K Goalkeeper gloves become one of the fastest selling GK gloves in UK. 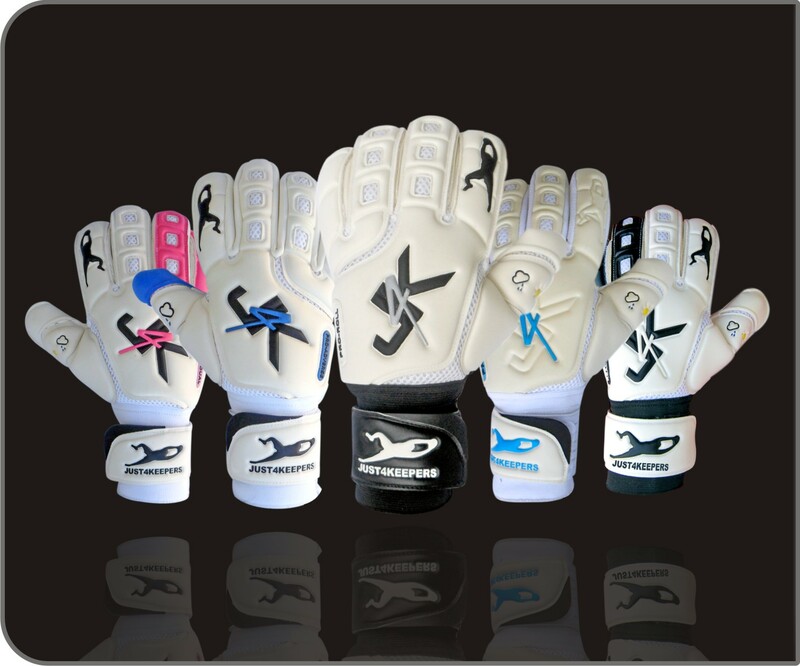 2011: J4K GK Gloves sell in over 10 countries in their first year. 2011: Too date, between all the J4K coaches, they have given away nearly 20,000 hours of free GK coaching. Thats OVER 2 years worth of FREE GK coaching. 2011: J4K coaches donate over �100,000 back into grassroot football. 2012: J4K opens in Lativa (Our 16th Country).